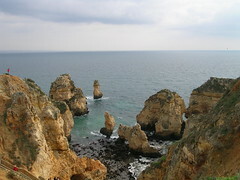 The Algarve is Portugal’s southernmost region. It gets the most sunshine, has the best beaches – and attracts large (sometimes huge) numbers of tourists and ex-pat residents. It’s also a great winter cycling destination! Read on for more general information or scroll down for details of rides and routes in the Algarve. Apart from temporary visitors, it’s also the most densely populated region in the southern half of Portugal – although compared to most European countries that’s not actually saying much. The Algarve as a whole has a population of around 450,000 in an area of 4,960 km2 (1,915 sq miles) and contains two large (for Portugal) cities. Faro has a population of about 44,000 (21st in the list of Portuguese cities), Portimão is one higher up the list with a population of about 45,500. Although over-development and strings of ex-pat bars have blighted some of the older beach resorts, there are large parts of the Algarve where you can go for miles without seeing another soul. From the Tavira in the east to Lagos in the west, it can be hard to escape the holiday villas along the coast. Roads are busy too. But go 10km inland or out to the far west beyond Lagos and open space is easy to find. The main issue with the Algarve is probably when to visit. It can get extremely hot here for much of the year – and intensely bright. Summer temperatures begin in May and continue through to September. Any rain generally tails off to practically nothing from June onwards and average temperatures are in the high 20s (°C) until October. But don’t be misled by the average figures. During July and August afternoon shade temperatures rarely fall below 30°C (86ºF) and it can reach 40°C or more (that’s 104ºF) in the sun – although coastal breezes generally stop it getting as hot as the Alentejo to the north. 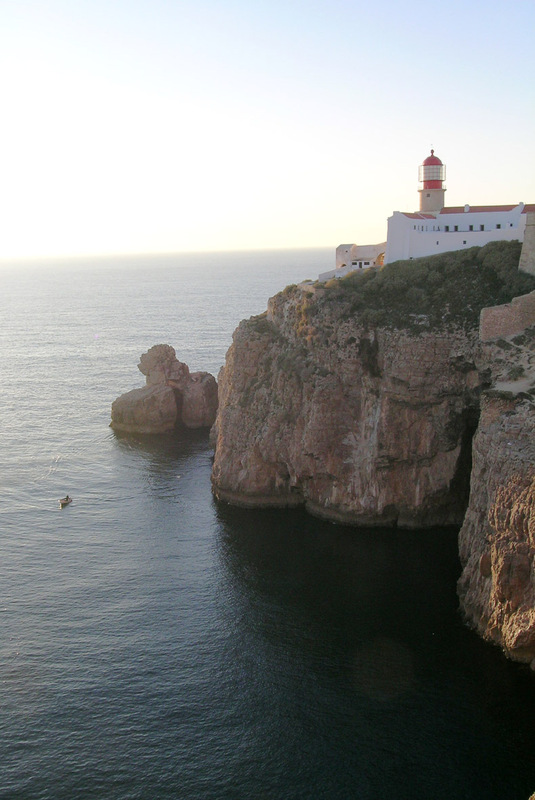 The Algarve is much more pleasant from October through to April and, in many ways, the winter is the best time to visit. Some tourist resorts can be dead but the roads are quiet, prices are low, daytime temperatures are still regularly in the low 20s – and from January onwards the almond trees are in blossom and the whole countryside looks lush. 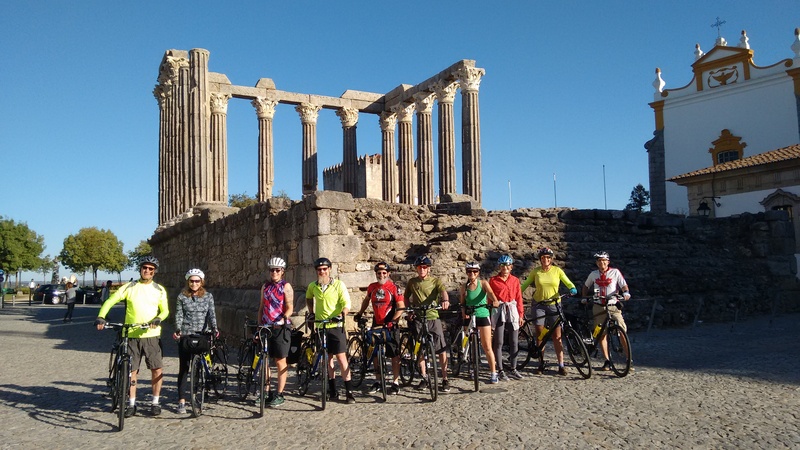 To read more about cycling in the Algarve, there’s an informative post on the blog run by Portuguese cycling firm Live Love Ride. This includes advice on the region’s different areas, tips on good cycling areas/route for both road and mountain bikes, plus links to a couple of local cycling clubs. To read the post, click here. Aljezur & The Beaches: A short but fairly tough circuit out to some spectacular cliffs and extremely popular surfing beaches. 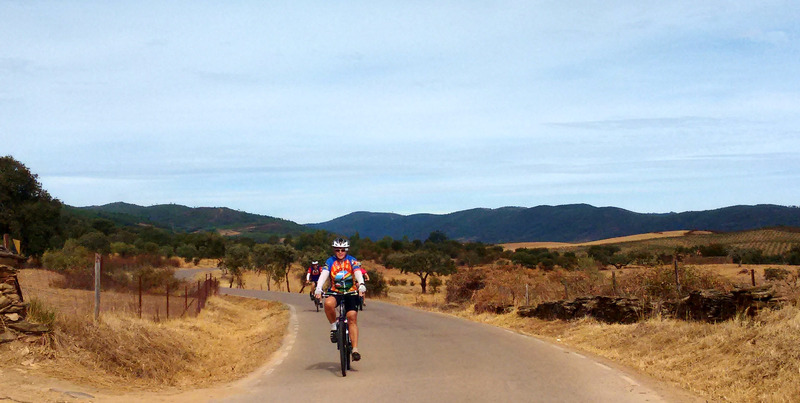 Algarve Hills: A longer ride up into the hills behind Boliqueime and Loulé, taking you almost to the Alentejo border. Beautiful scenery and could be split into two days. Lagos Back Roads: A mostly easy 56km tour through some quiet country lanes that also takes in a couple of gorgeous beaches. 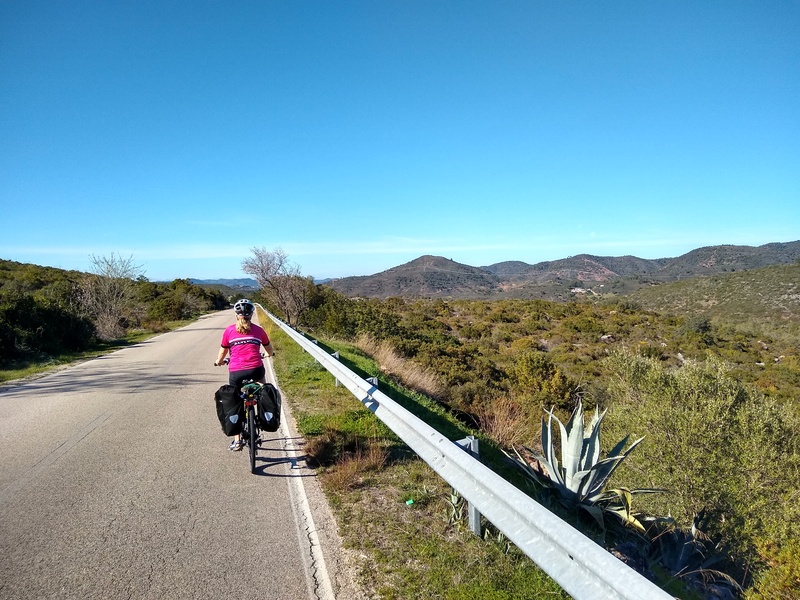 Monchique Explorer: A tough one-day circuit – or two days with an overnight stop – going up into the Serra da Monchique behind Lagos and Portimão. 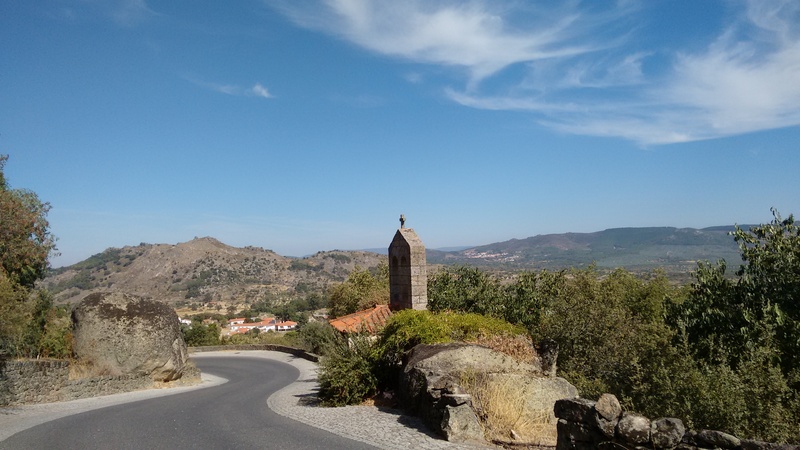 Alentejo to Algarve – Connecting Evora with Loule. S2N Ayamonte to Lagos – Along the south coast and bypassing Faro. 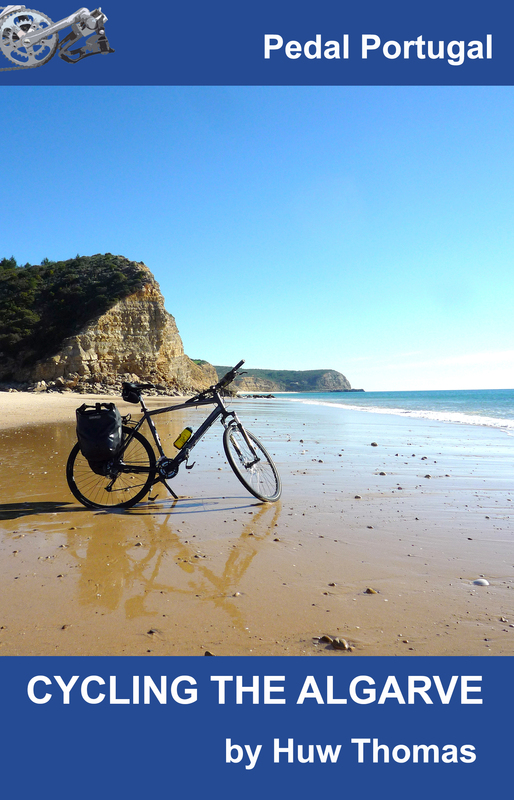 S2N Lagos to Vila Nova – Out to Sagres and north up the Algarve coast.